Humanity has entered the crucible of profound evolutionary change. 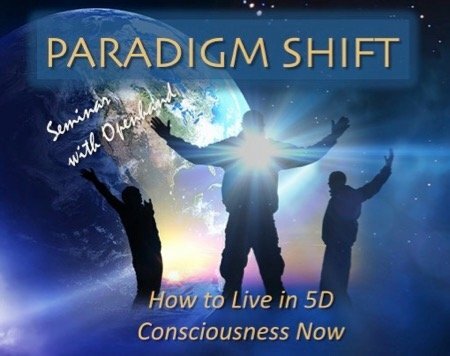 A wave of transformation is sweeping through our lives urging a fundamental shift into the next plane of reality: into your divine being "DIVINICUS", in 5D Consciousness, then to live it, here and now. How do we make this crucial transition? We must venture deep within and confront the final karmic ballast - the unconscious hooks that tether us to the old reality. It requires a deep internal penetration of the restricting density. In so doing, we unleash kundalini, then activate the spirit-light-body. This will be our vehicle for the Shift into the New Paradigm. There's a Divine Being inside of you, an expansive sense of presence which is beyond the drama. And yet, at the same time, there's your journey and your unique expression through it all, which is the very expression of your soul. In these times of profound evolutionary change on the planet, it's easy to lose sight of your Divine Being or else surpress the soul in denial, attachment or fear. Souls everywhere are yearning for a new way of being: living at-one with the divine, in sweet harmony with the Universe. Yet all around is growing tension and challenge as the old reality construct steadily slips into decline. How will the New Paradigm be realised? It is essential to evolve beyond the current karmic constriction. Gaia, the consciousness of the Earth, is already shifting into higher vibrations of interconnectivity.